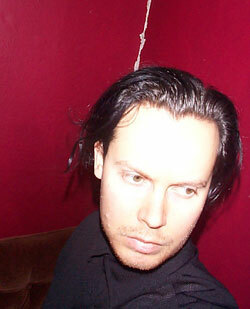 Magnus Sundström from Sweden is a freelance composer/remixer/producer. His first industrial project was third EYE. Magnus really impressed me with his neo-classical project The Protagonist and the strong album “A Rebours”. Lately he has made some heavy industrial releases as Des Esseintes, like the excellent split mcd with Diskrepant, on his own label Fin de Siècle Media. Can you briefly introduce yourself and your projects to unknowing readers? 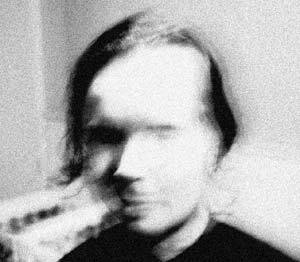 My name is Magnus Sundström, and I’m the sole member of the projects The Protagonist which is dark and powerful orchestral music, and des Esseintes which is harsh and rhytmic industrial soundscapes. I’ve been composing for about 10 years, and there are a couple of releases out there to explore. How did you evolve from Third Eye to The Protagonist? When I started third EYE my main influences were SPK, Test Dept, Klinik and Skinny Puppy, hence my music became electronic and industrial. Later on, I was introduced to Dead Can Dance, and suddenly I noticed that my own music evolved into something more orchestral. And when I found out that there already was another band called Third Eye, I decided to change name to The Protagonist. Many people will be waiting for a new Protagonist release. Why does it take so long, and when can we expect a follow-up? I have lots of unfinished Protagonist material, and some day I will transform it into songs. However, I don’t want to rush things just to release another album. I haven’t been focused enough to be able to record anything properly. and I simply wouldn’t put something out which I’m not satisfied with. There’s more to life than making music, for me composing is like writing a diary. If I don’t experience anything, there will be no music. Can you tell us more about the upcoming Des Esseintes releases? I’m working on an album called “Les Diaboliques”, which is inspired by the collection of short stories by Jean-Barbey d’Aurevilly. It will contain some new tracks and one or two new versions of previously released material. In progress is also a remix collaboration with Darrin Verhagen of Shinjuku Thief and a compilation of all vinyl releases together with some unreleased stuff. Everything should be out within a year from now. What project is more enjoyable to work on, the classical Protagonist or the more industrial Des Esseintes? The projects are very different from each other, and they represent two sides of my personality. The Protagonist would be the pure and innocent, and des Esseintes the sinful and decadent. Of course both projects meet at some level, but that’s the main characteristics as I see it. Both of them are equally compelling to explore, but des Esseintes allows me to be more playful and spontaneous. On your Protagonist debut you worked with Peter Petterson and Mark St. John Ellis amongst others. What was that like? And are artists on your wishlist which whom you would like to collaborate? Both of them are great artists, and working with them was a nice experience. I pretty much allowed them to do their own interpretation of the music, within certain limitations of course. I’m very happy with the results, and I think they are too. At the moment I’m looking forward to the collaboration with Darrin Verhagen. I have also discussed some kind of project together with the British artists Band of Pain and Caesar Romero. How are your experiences with playing live? For some time now, the live shows have consisted of myself playing percussion and doing the vocals, augmented by yet another percussionist and a cello player. It has worked rather well, but now I think it’s time for a change. I haven’t decided yet what will happen in the future, though. As I haven’t been active with The Protagonist, I have concentrated on performing as des Esseintes. I might consider fusing the projects together when performing. The shows have been great experiences, and I hope to be able to play more in the future. I read that you will play in Amstelveen on January 24 (with Sephiroth & Predella Avant). What can we expect from that? Yes, if everything goes as planned there will be a performance. As I said previously, I’m preparing for something different than before. But since nothing is decided yet, I don’t know more about the show than you do. Hopefully it will be something people will enjoy. See you there! The first Protagonist album has quite some literary elements: Huysmans (A Rebours), Shelley, Poe. Any literature that impressed you recently? I haven’t had the time to read so much in recent time. Some of my latest additions to the collection are “Chants of Maldoror” by Lautreamont, Thomas de Quincey’s “Confessions of an English Opium Eater” and the work of Georg Trakl. All of them highly recommended. Is cello-player Marcus Ohlsson still involved? Will you be working with more ‘classical’ elements, or do you prefer a more synthetic approach? No, he has not been involved for quite some time. We still keep in touch, but he’s very busy with his own stuff. Of course I would like to work with more acoustic elements. There’s only one problem, and that’s the fact that I can’t play the instruments myself. When I composed for the play Romeo & Juliet I had the opportunity to work with a small ensemble of musicians, and that was a really great experience. Are there any classical composers you would like to recommend to people who like The Protagonist? As always, I believe the most interesting classical music is to be found in movies. Some of my favourite composers are of course Wojciech Kilar, Danny Elfman, Christopher Young, Howard Shore and Elliot Goldenthal. On “A Rebours” references were made to some controversial artists like Thorak and Riefenstahl. Have you got comments about that? Do you believe in l’art pour l’art? Or do you think artists should consider morality and political implications as well? I have to admit that I have been somewhat naive. Yes, I had lots of comments about that, and even though I can appreciate a piece of art despite the creator’s political views, I realize that it’s easy to be misunderstood. However, I have no moral obligations regarding my music. People will have to think for themselves. What do you think of the present-day industrial scene, with its flood of releases? Have you discovered interesting new acts recently? With the help of a computer, it’s quite easy to achieve rather good sounds. But among all the stuff that gets released, only a few really have something to say. Of course it’s more difficult to reach out when everyone seems to have a project of their own. I think that the genuine artists will get the praise they deserve, and the others will disappear as quickly as they emerged. I haven’t been exploring the industrial scene for quite a while, which means I haven’t stumbled upon anything new and interesting. Would you say that your own musical taste is rather stable, or do you listen to new styles every season? Well, my taste is stable but my spectrum gets wider and wider. I listen to lots of different music, mostly alternative and experimental stuff. I think it’s important to be openminded. I read that you are contributing to CMI 100. Is there something you can reveal about this mysterious release? You started your own label Fin de Siècle Media. What are the goals and ambitions of this label? The reason for creating the label is to release anything that I find interesting. Until now I have only released my own music, in some cases together with another artist. In the future, my aim is to discover new and exciting music and make it available to the world. My own collaborations with others will continue as well, of course. Fin de Siècle releases limited vinyl releases. Are you a music collector yourself? Well, both yes and no. I don’t prefer one format over the other, though. At the moment, I buy both vinyl and CD, but if a release is available in both formats I choose the CD. 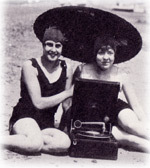 From now on, most releases on Fin de Siècle Media will be on CD, mostly for economical reasons. Many of my favourite Protagonist songs can be found on obscure compilations. Will there ever be a ‘rarities’ compilation? I don’t think there will be such a compilation, as most tracks appeared on “A Rebours”. I might as well tell you that both ‘Spirits of the Dead” and ‘Hesperia’ will be part of the next album, in new and improved versions of course. Can you tell more about the play Romeo & Juliet? I read some of the music you composed for it was rejected? The play was produced by The Royal Dramatic Theatre of Sweden, and was a quite big thing here in Stockholm. I was chosen to write some cues for the action sequences, the music supervisor had heard “A Rebours” and thought that I could provide some suitable material. After everything was recorded, they rehearsed to the music for a while. Just a few days before the grand opening, the director decided to remove my music, because she thought it sounded too much like a Hollywood movie. I watched the play once, and they had replaced my work with a more electronic score. It was still enjoyable, as it mixed traditional theatre with spectacular circus tricks. Are you involved into more film / theater projects? Do you like this sort of multimedia collaborations? I composed some themes for a computer game a while ago. Yes, I like to put other people’s visions to music, but the opportunities are very few. I think I have to become more well known in order to be approached with such proposals. You remixed a song for L’?me Immortelle. How is it like remixing artists from quite different backgrounds? And how were your experiences with the collaboration with Japnoise artist Magmax? There wasn’t any musical collaboration, our tracks just ended up on the same record. I never even met or talked to him. I think it was an interesting idea to mix such different artists, and it’s a great release! You also composed music for a computer game. Are you a gamer yourself? I used to play some games a couple of years ago, but I found that it stole too much of my precious time. I wrote the music for a children’s game, and it was a great experience. I had to play it to be able to know what kind of different themes I should create. It’s a quite nice 3D adventure inspired by the art of John Bauer. On your website I read about a soundtrack for a Spanish short film. Is the soundtrack released, and is the film available somewhere? The movie Estigmas and the soundtrack will be released soon on DVD and CD by the American label Selfless Recordings. The soundtrack contains music written for the film by Puissance, as well as previously released songs from other bands like The Protagonist, In Slaughter Natives and Death in June. I don’t know exactly when they will be out, though. Check www.selflessrecordings.com for updates. You are also working on something with Darrin Verhagen of Shinjuku Thief? Yes, there will be a mini album where we contribute one track each as well as a remix of each other’s track. Darrin has been very busy lately, which means that this release has been pushed forward in time. Maybe in in time for my birthday in April! Why should we listen to Maladjusted, your online radio station? Maladjusted is something I created for two reasons. First of all it’s a place where people can hear my favourite music. It also contains my own music, both released material and exclusive stuff. It’s been a while since I updated the playlist, though. But if you’re interested in what’s in my record collection, don’t hesitate to visit Maladjusted. Once a month I’m also DJ at a music caf? here in Stockholm, and it’s broadcasted live on the Net. For more info, please visit www.findesieclemedia.com/djinfo.html and www.svaj.com. Which records are spinning in your office right now? A quite diverse collection of music, I think. Can you live from all your musical activities? No, absolutely not. Even if that would be nice, it’s not something that I try to achieve. As I’m not very commercial, I hope that the music will promote itself. I realize that it’s difficult to get through to people because of the amount of labels and releases. As long as I enjoy it, I will continue the struggle. Daytime, I’m the Art Director for a distribution company here in Stockholm. Other than that, I spend most of the time with my loved ones. I don’t have any hobbies except creating and listening to music. I meet friends, go to clubs and watch movies occasionally. And what would you do if you won a million dollar? Now, that’s a tricky question. I don’t think that I would do anything in particular. Maybe I would only work 50% and spend more time composing and working with the label. Most of the money I would probably put away to collect interest. Boring, I know… but I wouldn’t want to spend it all on stupid things. Which 5 records would you take with you if you moved to a desert island? I just want to thank everybody for their interest, patience and encouragement. The Protagonist will be back!